While there were only few highlights at the last shows this year's ILA lacked them completely. 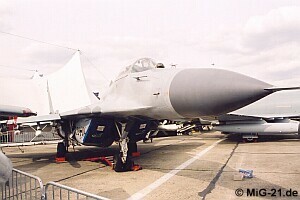 The MiG-29 probably appeared for the last time in German colours. Fasotron offers the modernized Kopyo-M radar for the upgrade of the MiG-21. The historical forum in Neuhardenberg on April 18 was dedicated to the development of the airfield in the village where - when it was still called Marxwalde - the JG-8 (8th fighter wing of the East German Air Force) was based. 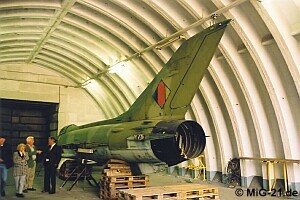 The MiG-21 is back at Neuhardenberg airfield. The 335 (ex 619) the former gate guard of JG-3 was transferred from Laage and is to be displayed in the future.